Coffee is a ritual in Italy, and the shot of bitter black espresso is often hard to get used to. 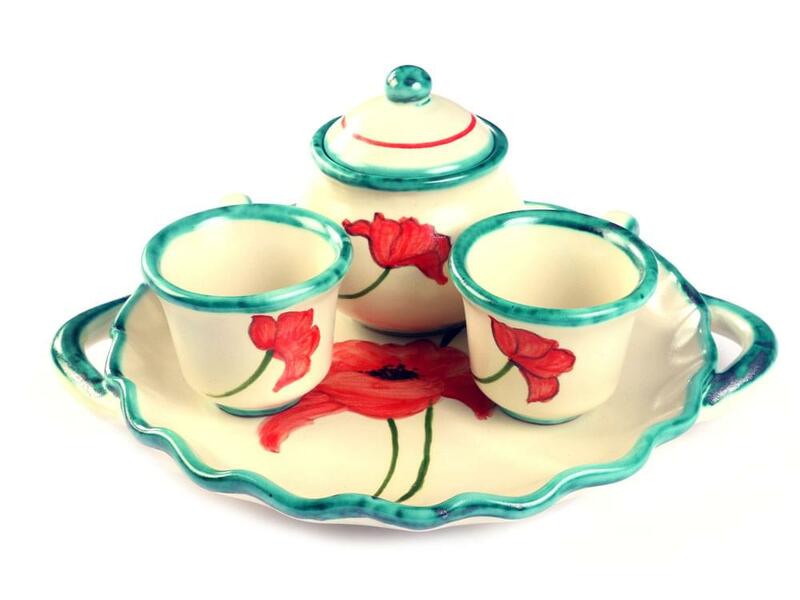 The tiny, hand painted ceramic coffee cups however are instantly endearing. 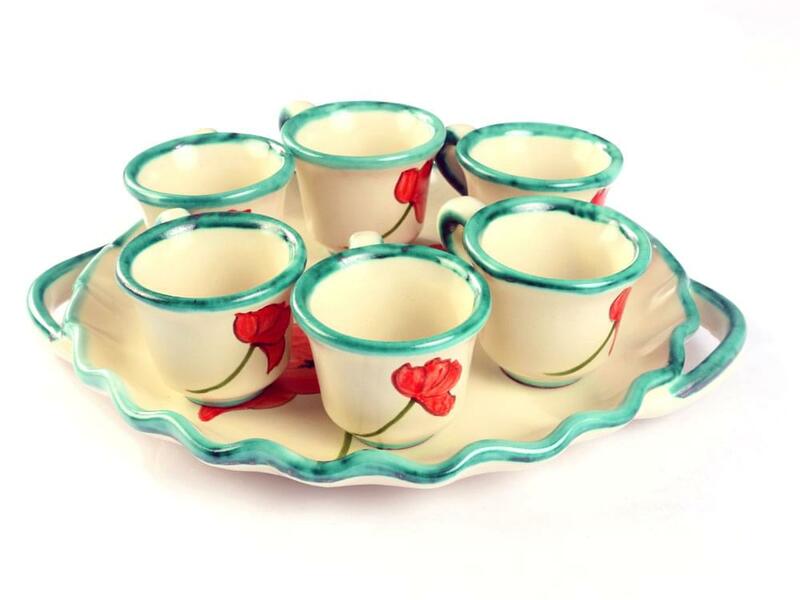 Coffee in the homes of Italians is always served with great ceromony, with the coffee cups usually sat on a matching ceramic tray. 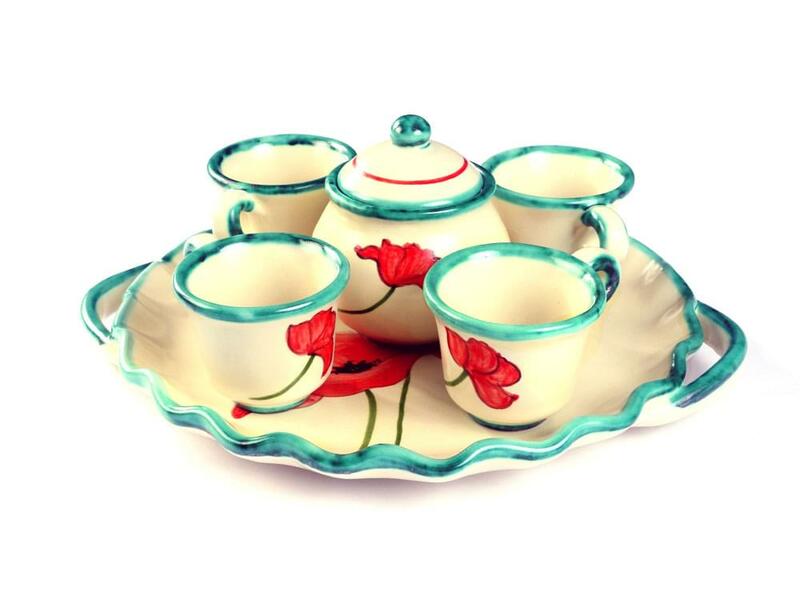 There is always sugar in a bowl, but never milk, and biscuits or chocolate to have with the coffee. 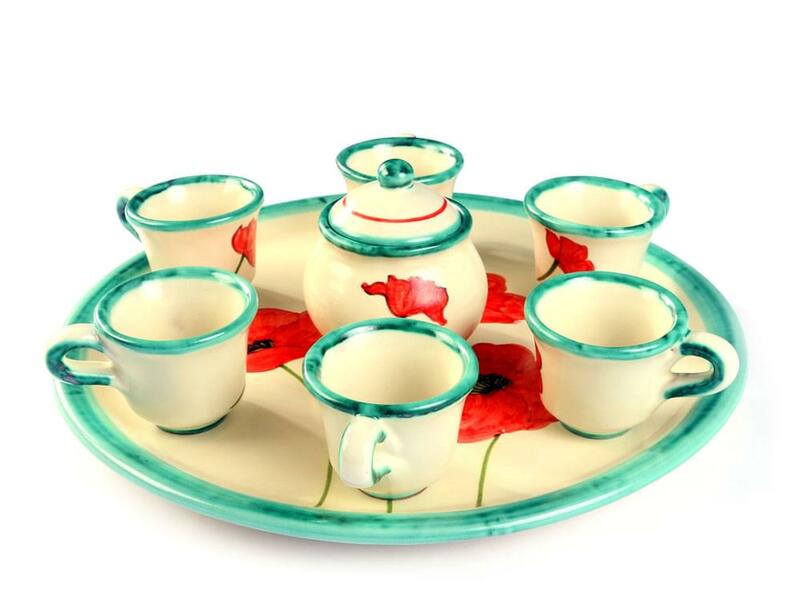 The little ceramic coffee cups are always roughly the same size but the shape varies. 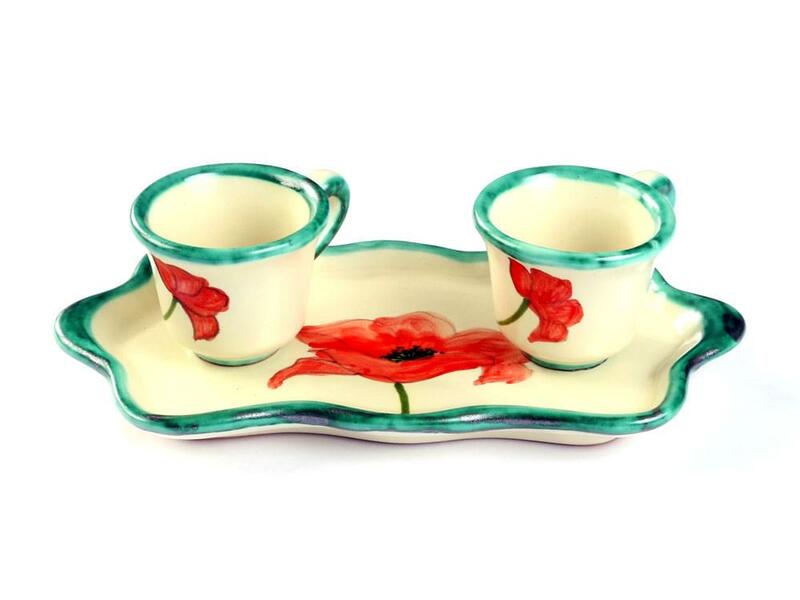 Sometimes the coffee cups have matching saucers but more often than not they come with a matching plate of a size to suit the number of coffees being served. 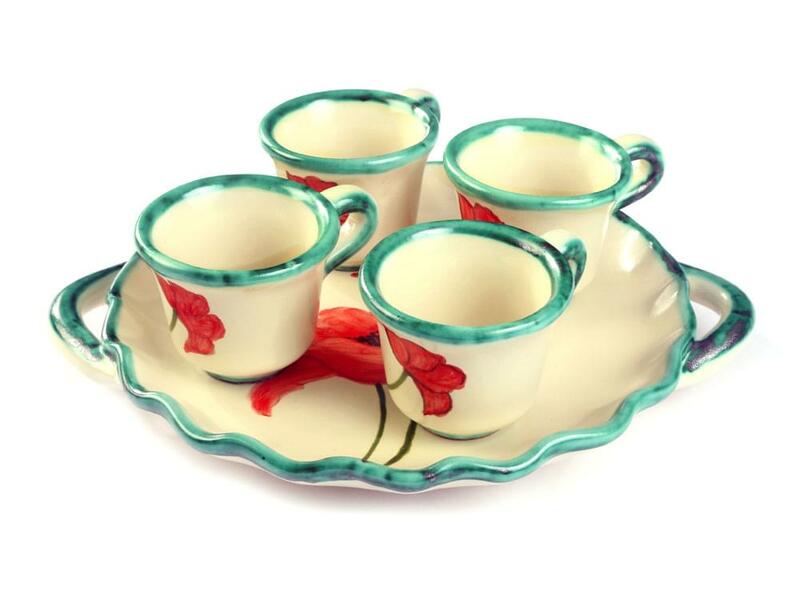 A pair of hand painted Italian ceramic coffee cups on a tiny ceramic tray make the perfect souvenir or gift to bring back from Italy.